In anticipation for Michelle's new memoir, Becoming, she will have a book event in London where Chimamanda Ngozi Adichie will be moderating. At a highly exclusive book event at Southbank Centre London, Michelle Obama will be speaking about her new memoir with acclaimed author, Chimamanda Ngozi Adichie. On December 3, 2018, London will be hosting two of the world&apos;s favourite feminists, and now, authors. Michelle Obama&apos;s new memoir, Becoming, to be released November 13, chronicles her life growing up in South Side of Chicago, marriage, motherhood and her struggles and successes as the First Lady of the free world. The former First Lady will be speaking with Chimamanda Ngozi Adichie, about this memoir and answering questions from the audience. 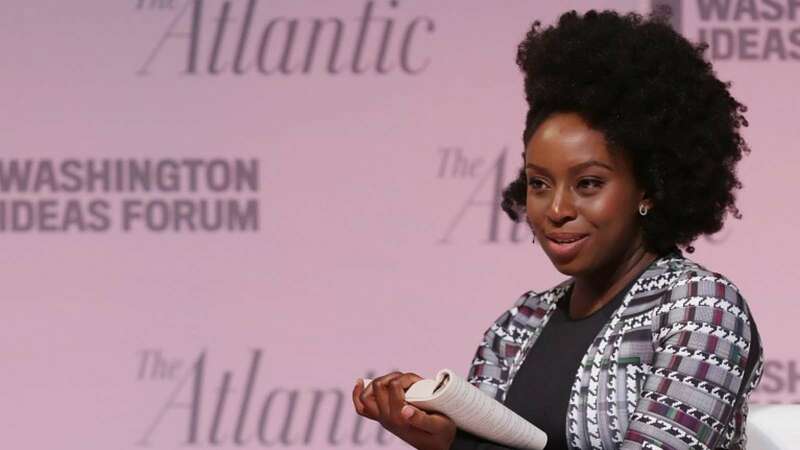 Adichie seems to be a huge fan of Michelle — just as she is of Hilary Clinton — being one of the writers to write a love letter, or thank-you note, to the former first lady in 2016. Also, in 2016, Chimamanda made a statement linking Michelle&apos;s relaxed hair to Obama&apos;s victory in the US Presidential elections: "I&apos;ve often said that if Michelle Obama had natural hair when Barack Obama was running for president, he would not have won. Because her natural hair would have signified certain things to people and those things are negative things. It would signify that she&apos;s some sort of militant, neo Black Panther, frighening, angry – angry in a bad way because of course, talking about gender in some ways women are not allowed to be angry, particularly black women, so anger in a black woman is something that is just a no-no." Maybe someone will bring up this statement at the book event? Nevertheless, the event promises to be an exciting time for those who can attend, though the tickets to this event do not come cheap, £30 – £125 (+£3 booking fee). It will hold at the Southbank Centre’s Royal Festival Hall on 3 December 2018 at 7:30pm. Tickets go on sale on November 8.